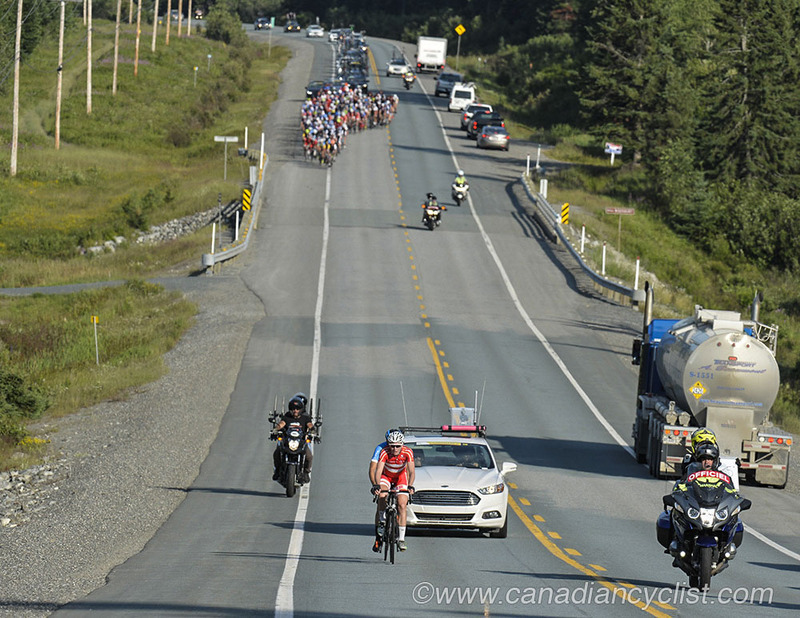 Day 2 of the 2016 Tour de l'Abitibi saw all but one Jersey change hands at the end of 116 kilometres of racing from Val d'Or to Rouyn-Noranda. 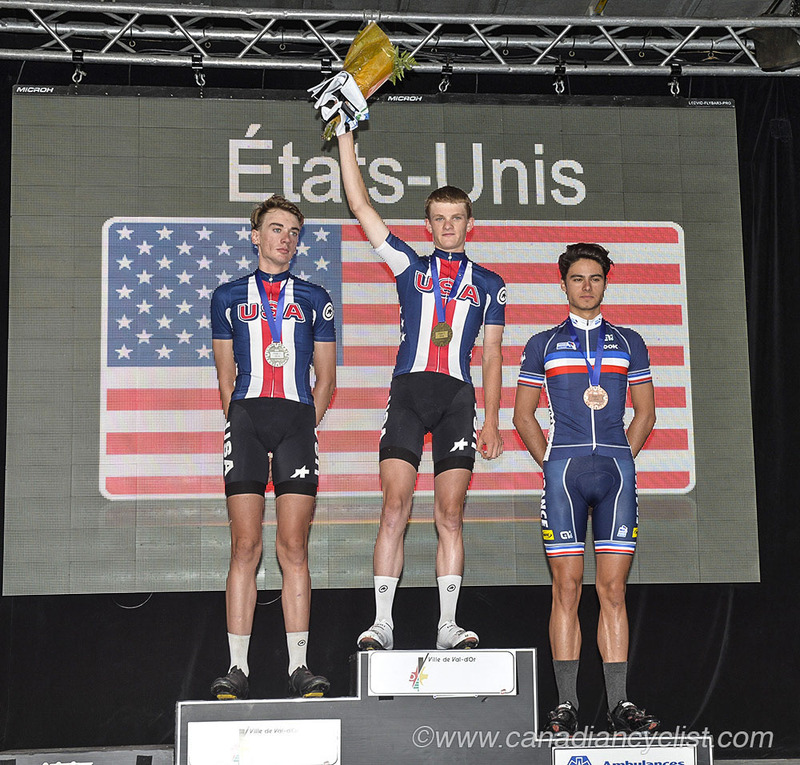 Tyler Stites (Team USA) won the sprint, and took the Brown Jersey of overall leader, finishing ahead of team mate Brandon McNulty, with Lucas Grall (Team France) finishing third. 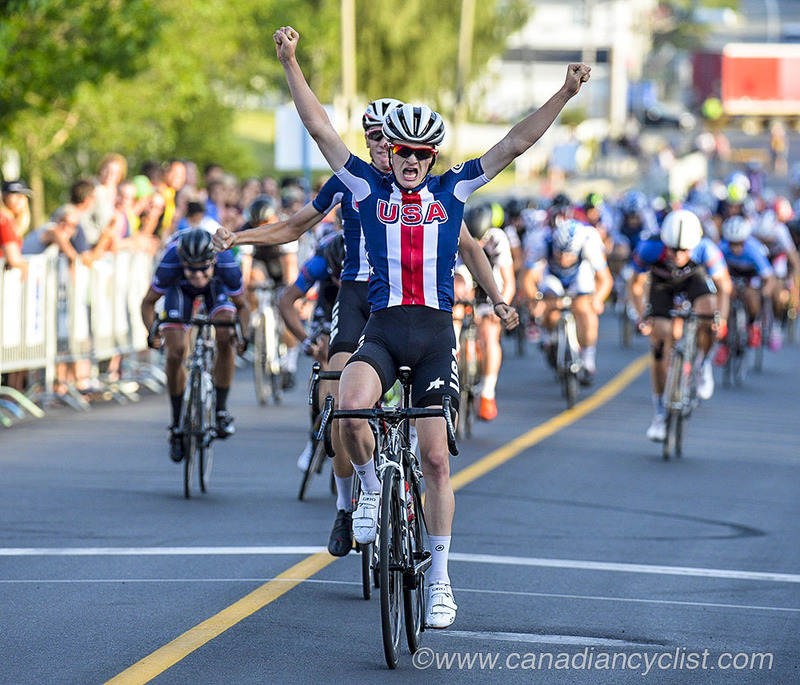 Grall takes over the Points Jersey, while Team Canada keeps the Best Young Rider (First Year Junior) Jersey, although it moves onto the shoulders of Noah Simms. Hayden Strong (Team New Zealand) held onto his Polka Dot Jersey as the best climber. The course was simple - a straight run down the Trans-Canada Highway (Highway 117) from Val d'Or to Rouyn-Noranda, finishing with three laps of the 3.7 kilometre finishing circuit. There were constant attacks through the stage, but steady headwinds blunted the efforts, and Team USA went to the front to bring back anything that went over a minute. Two breaks had some staying power, with Matthew Staples (Team Canada) and Anders Mielke (Team Denmark) opening the largest gap of the day at 1:30 before being brought back at the 70 kilometre mark. Ethan Batt (Team New Zealand) then went out on a solo effort that reached a minute, and he was eventually joined by five others as the race entered the final 20 kilometres. However, they were brought back as the race entered the finishing circuit. Stage 1 winner and overall race leader Clément Betouigt-Suire (André Cycle Kaycan Raycan RDS) then suffered a mechanical with a little over a lap to go, and waved off neutral support as he waited for his team vehicle; a move that lost him his jersey. A crash in the final 2.5 kilometres took down a number of riders, who received the same time as the bunch. 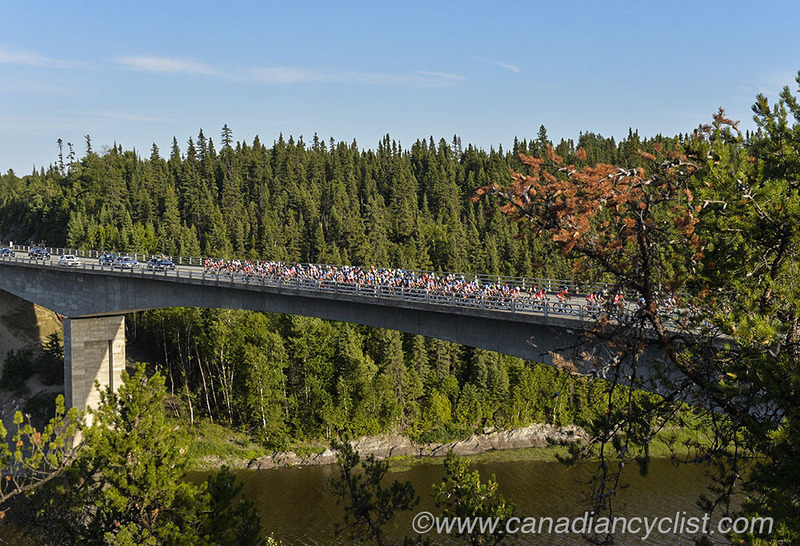 Thursday the riders face a double stage day, with a 9.6 kilometre individual time trial in Rouyn-Noranda in the morning, followed by a 51.5 kilometre afternoon stage, starting and finishing in Malartic.